As everyone knows, authors are the most eye-catching, photogenic people in the world (that’s why many libraries cover their photos on books with black electrical tape, so that enchanted viewers don’t cut them out and stuff them in their wallets). Despite this immutable fact, it’s possible that a gallery of photos of writers might have some trouble grabbing people’s attention. 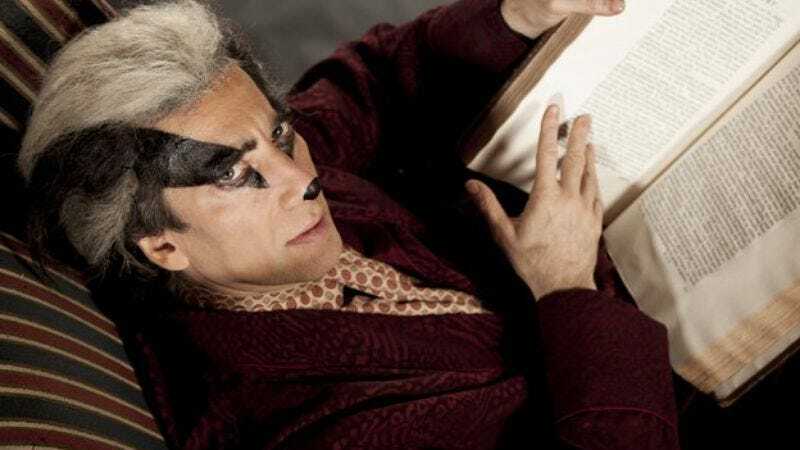 Hence, when photographer Cambridge Jones was approached to take pictures of famous British authors for Oxford’s The Story Museum, he decided to ask them to dress up as their favorite childhood characters, which is how the Internet finally got that picture of Neil Gaiman as an anthropomorphic badger that it’s been yearning for all these years. Besides Gaiman, we also have Monty Python’s Terry Jones as Rupert The Bear, the poet Benjamin Zephaniah as Anansi The Spider, and several other prominent writers who seem to be having a hell of a lot of fun. You can find the rest of the photos, including Terry Pratchett as proto-Dennis The Menace Just William, and Philip Pullman as Long John Silver, here.